TwoMorrows Columnist Makes Good… or Is It Evil? 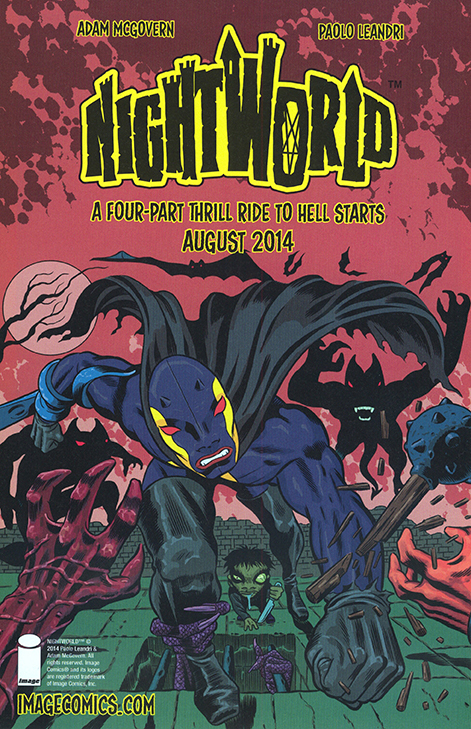 Adam McGovern, longtime columnist for The Jack Kirby Collector, is living the recurring dream of Kirby-styled reincarnation with artist Paolo Leandri, as the team debut their four-issue meta-monster miniseries Nightworld for Image Comics, which just launched August 6. It’s pop-art visuals and upbeat pulp-lit writing the way the future of comics has been waiting to look since the ’60s! 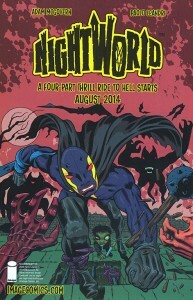 Visit their hellish home online at www.nightworldcomic.com and no longer abandon hope for fun, clever comics!